Overlooking Little Lake. Lakevu Condos offer residents bigger suites, a bigger lifestyle, and carefree condo living with million dollar views – for much less than that! 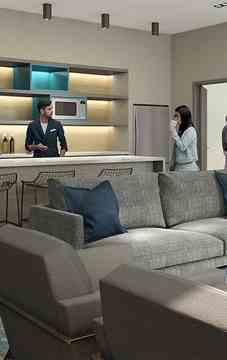 Luxurious amenities include the Rooftop Lounge, Fitness Room, Party Room with Pool Table, and Pet Spa. Access to Hwy 400 couldn’t be easier. Barrie is growing big time and this is your big chance. - Approximately 8’6” ceilings. Smooth ceiling throughout all finished areas. - Laminate flooring throughout (except tiled areas). - Interior walls painted with Builder’s choice of one colour throughout. - Custom-crafted kitchen cabinetry with choice of styles and colour from Vendor’s standard design packages. - Solid surface kitchen countertop with polished finish and straight edge detail as per Vendor’s standard design packages. - Stainless steel under-mounted double sink with polished chrome-finish single lever high arc kitchen faucet, complete with pull down spray. - Stainless steel finish appliance package including full-size fridge and range and full size dishwasher, microwave / hood combo. 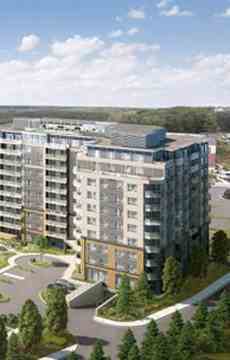 Lakevu Condos is a condo development by JD Development Group located at 11 Lakeside Terrace, Barrie. Nestled by Little Lake a short 2-minute stroll to the waterfront and Little Lake Park, Lakevu Condos is located next to the Little Lake Medical Building and steps from the brand new North Barrie Crossing Shopping Centre. Hwy 400 is around the corner. Getting into downtown Barrie is easy where you can enjoy fabulous beaches, boardwalks and festivals as well as excellent shopping and dining. Georgian College and the Royal Victoria Regional Health Centre are easily reached just east of Hwy 400.